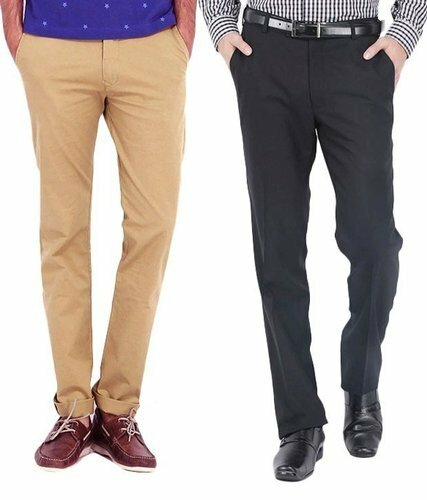 pack of two trouser formal trouser straight for professional look and event. Mostly working people spend their lot of time in a day on formal these formal trouser provide a feel of comfort and make you active in professional front. size : 28,30,32, 34 & 36.